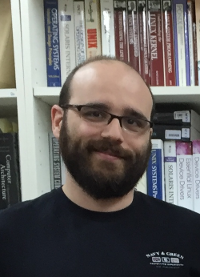 My name is Konstantinos (Kostis) Nikas and I am a senior researcher at the Computing Systems Laboratory (CSLab) of the School of Electrical and Computer Engineering (ECE) of the National Technical University of Athens (NTUA)]. I am currently working together with Prof. Nectarios Koziris, Assistant Prof. Georgios Goumas and Dr. Vasileios Karakostas. Before joining CSLab, I was a graduate student in the Advanced Processor Technologies Research Group (APT) at the University of Manchester, where I was working under the supervision of Dr. Jim Garside and Prof. Ian Watson. My PhD thesis focused on cache partitioning techniques to improve the performance of chip multiprocessor systems. This is my home page, where you can find information on my research work. Feel free to have a look around.